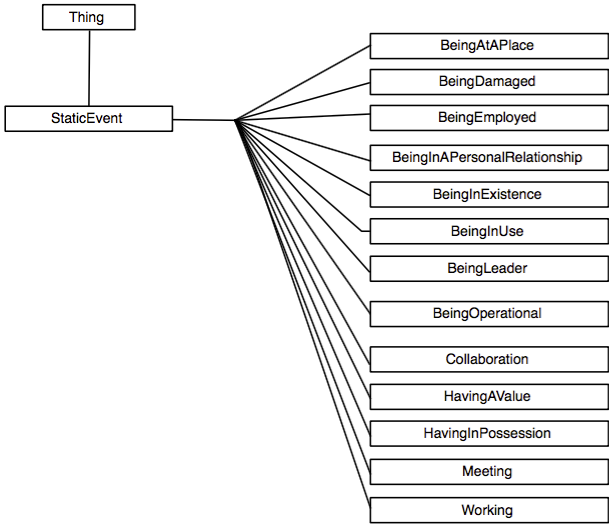 The Event and Implied Situation Ontology and the documentation can be found here: https://github.com/newsreader/eso. ESO models a) events and the implied situations before, during and after an event and b) the roles of the entities affected by some event. 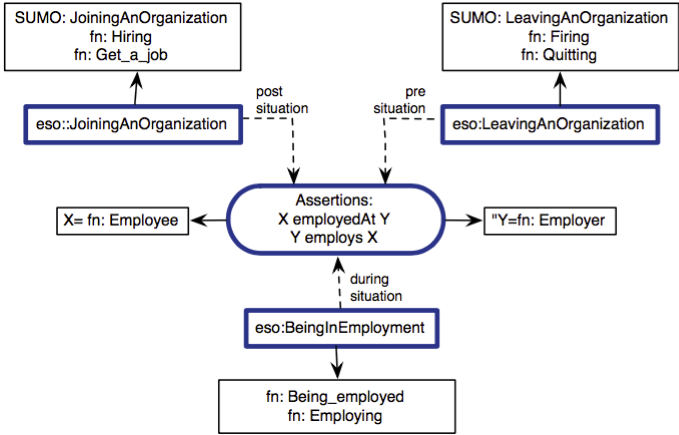 ESO includes mappings to SUMO and FrameNet on class level and to FrameNet Frame Elements on role level. 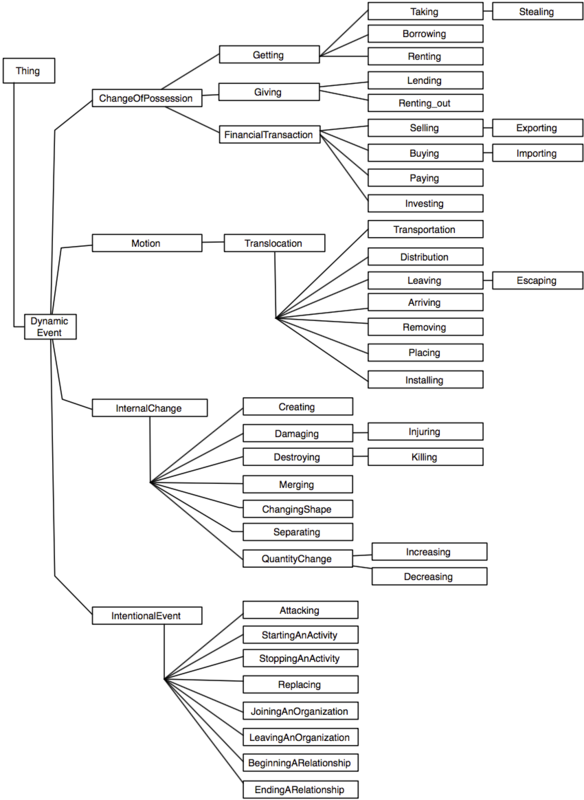 ESO has 63 event classes, divided over dynamic (50) and static (13) event classes. Further, ESO has 123 situation rule assertions that define what situation holds before or after an event. 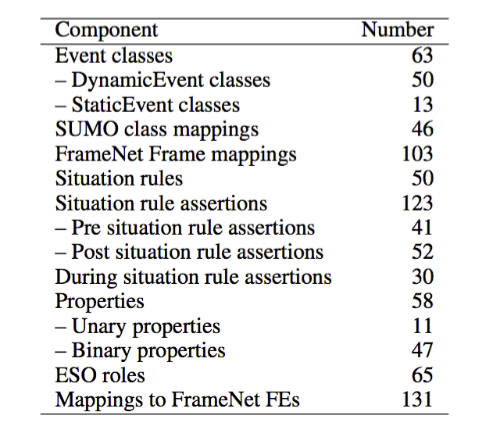 In total, 65 ESO roles have been defined that map to 131 FrameNet Frame Elements. Eso is licensed under a Creative Commons Attribution-ShareAlike 4.0 International License.